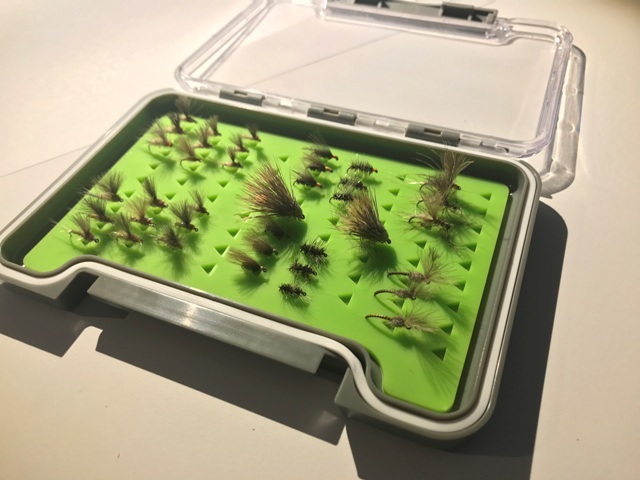 The New Onstream-Guide Fly Selection Boxes offer excellent value for money for premium river flies and include the silicon insert fly box free of charge. 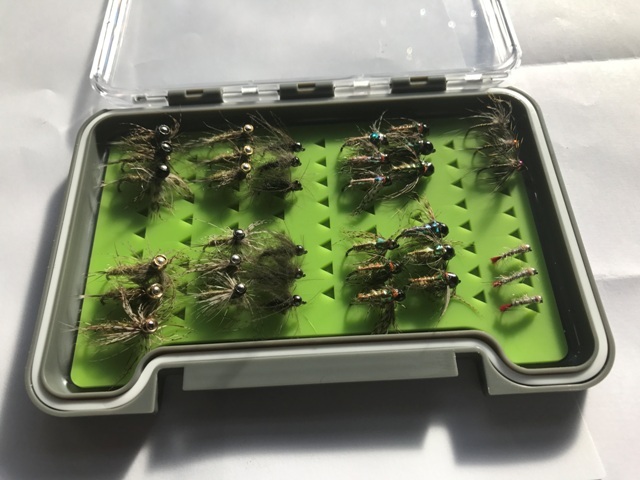 The fly box can be purchased separately below. These fly compilations are proven favourite flies that have worked in every stream we have ever fished all over the world. 38 Flies in total. These are all proven river dry fly patterns that feature in our DVD. Simply ghink the body of the fly and fish for great results. All flies are tied on top quality Maruto barbless japanese hooks for excellent holding power and fast and easy catch and release. 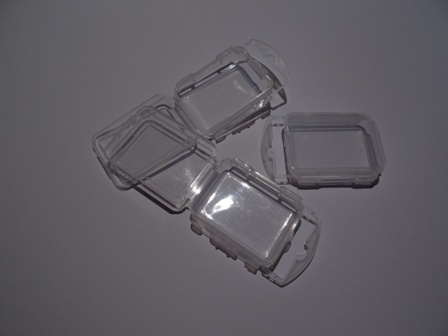 Presented in a silicone insert box with high clearance to prevent compression of the high CdC wing. Purchased separately these flies would cost £57.50. 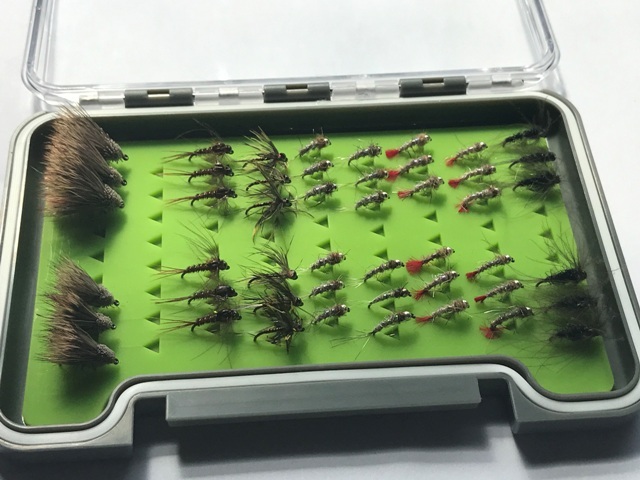 A selection of small nymphs tied with 2mm tungsten beads and top quality japanese hooks Hends - Hare's ears nymphs and other proven catching flies. 3 Life Jacket Elk hair caddis duo fly for use as an indicator which catches fish! 3 Life Jacket Elk hair caddis Light duo fly for use as an indicator which catches fish! 48 flies in total. Purchased separately these flies would cost £76.50. A selection of generally heavier nymphs with tungsten beads designed for modern techniques like Czech nymphing. They will also work very well fished upstream under an indicator or for high sticking. Total 36 flies. This is a great selection of flies with proven track record. The flies are presented in a superb small tough clear fly box. Bought separately these flies would cost £54.75. The fly boxes shown below are designed to fit into most pockets.